Suffer an injury that requires immediate medical attention? Burn yourself trying to cook dinner and now every medical office is closed? Did your child fall off his bike and you think he may need sutures? Call or walk into a QuestCare Urgent Care center and see a doctor right away! Forget dealing with a loud, busy emergency room and stop by our friendly Urgent Care Center where you will be seen quickly. Your injuries, no matter how minor, can be taken care of without the long wait at the emergency room. Some injuries can be taken care of at home without the help of a medical professional. However, if you injure yourself in any of the following ways it is best to seek treatment. Lacerations – A small abrasion is nothing to worry about; however a deep gash or cut in the skin may require sutures and topical antibiotic ointment to prevent infections. A doctor should evaluate deep puncture wounds or any wounds where a foreign body is present. Broken Bones – Broken bones are painful and should be X-rayed treated by a doctor right away. While most breaks can be treated with a cast and physical therapy, some severe breaks might require surgery. Sprains – A sprained ligament can be just as painful and cause just as much disruption in your life as a broken bone. 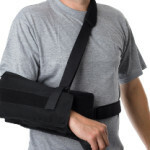 Most sprains are treated with a removable brace that last a few weeks. Concussion – A fall or blow to the head can cause swelling and bleeding. Confusion, slurred speech, vomiting, severe headache, numbness, weakness, and decreased condition are all symptoms of a concussion. 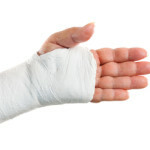 Hand & Eye Injuries – Preserving the functions of your hands and eyes is critical. If you experience and injury your hands or eyes, you should seek medical help right away. Insect Bites – While more insect bites are harmless some can cause more serious problems like infection or an allergic reaction. Each injury requires a specific treatment at QuestCare Urgent Care. We treat children and adults with various types of injuries. Treatment options may include prescription medication, casts, slings, sutures, burn care, and in the case of severe injury, transfer to the hospital. Our doctors ensure your injury is treated quickly and properly as soon as you walk in the door. If you experience a severe injury that includes loss of consciousness, seizure, trouble breathing, or severe uncontrollable bleeding you should call 911 or proceed to the nearest emergency room. The medical staff at QuestCare Urgent Care in Highland Park is experts at diagnosing and treating all kinds of injuries. For immediate medical attention call ahead at (214) 368-4822 or check in online.